Fin Wood Stone Tile Care. 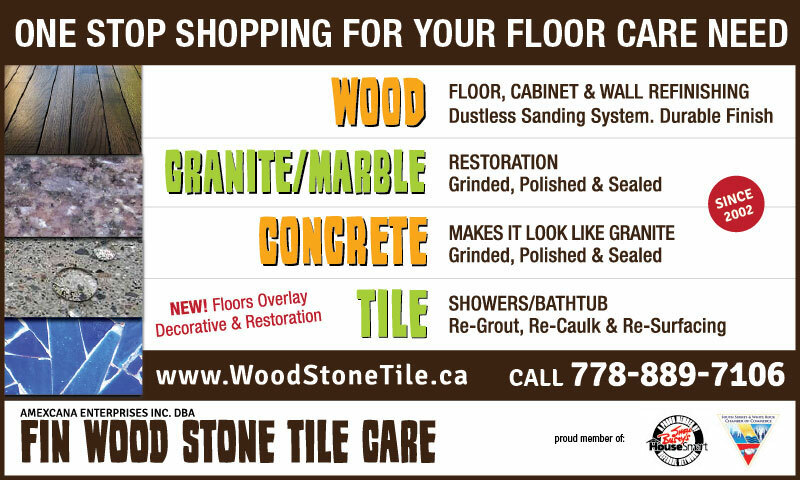 Hardwood Floors, Granite, Marble, Counters, Tiles, Concrete Floors. Refinishing, Grinding, Polishing, Sealing. Surrey, White Rock, Vancouver.